Nowadays, most of the organizations, forensic investigators, lawyers etc. keep their records and other data in PDF file format. The PDF format is a platform-independent and printable file format. Similarly, users also need to convert OLM file to PDF file format with attachments. Now, there can be multiple reasons which result in Mac Outlook OLM file to PDF conversion. 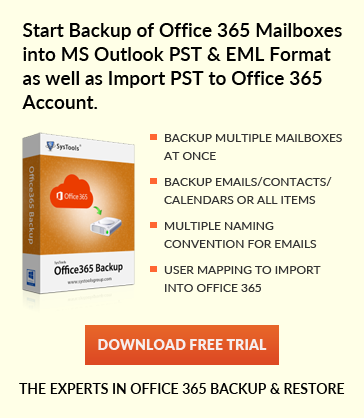 Some of the possible reasons can be sharing Outlook emails as PDF, print a specific Outlook email in PDF for legal purpose, need to backup Mac Outlook emails into PDF file format for easy migration in future if required etc. Now, the major problem arises when a user is not able to find a simple yet reliable approach to convert OLM file to PDF. Thus, in this blog, we are going to introduce a step-by-step process to convert Outlook for Mac emails into PDF file format. Sometimes, the user needs to convert Outlook emails into PDF file format on Mac Operating system. Thus, in this section, we are going to discuss different ways to convert OLM file to PDF file format. Finally, your Outlook message will be saved as PDF at the desired location. With the manual approach, the user is only able to convert Mac Outlook email to PDF file format. Attachments associated with the Mac Outlook are not converted in PDF file format. Moreover, the user cannot convert Mac Outlook emails with attachments in bulk via the manual method. Additionally, sometimes the users find the manual process complicated and time-consuming. Thus, to eliminate all the shortcomings associated with the manual approach it is recommended to switch to method 2. Here, Comes An All Rounder Solution! With Mac OLM Converter, one can easily convert Mac Outlook 2019, 2016 and 2011 email messages into PDF file format in just a few clicks. The tool permits the user to convert Mac Outlook email to PDF file format along with attachments. Moreover, the folder structure of the resultant PDF file is maintained by the tool. The software’s feature-rich and versatile nature makes it different from other tools. The utility is designed with a user-friendly interface which makes hassle-free for both technical and non-technical users to work with it. One can easily convert Mac Outlook emails into PDF file format in bulk. The software also provides Advanced Settings such as Page Layout and Bates Number setting. In page layout settings, one can set margins, paper orientation, page size. On the other hand, in bates number settings, the user can set bates number position, start number, increment by, date stamp with position and format. Finally, Converting Mac Outlook Email to PDF Not A Complicated Task! Most of the users stuck when they need to convert OLM file to PDF file format. Thus, in the above section, we have explained a step-by-step process to convert Mac Outlook emails into PDF file format. However, if the user has to convert Mac Outlook emails into PDF along with the attachments then he/she has to opt for an automated approach. The user can make use of Mac OLM Converter to convert Mac Outlook emails into PDF file format in a trouble-free way.